I always love it when a sci-fi creation actually looks realistic and practical. 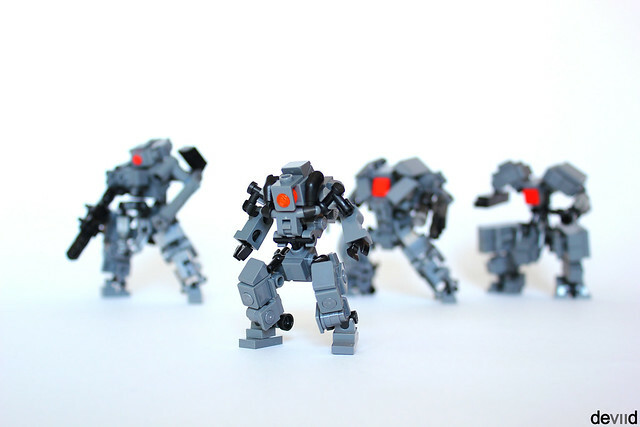 This group of robot assassins by Devid VII is a great example of military sci-fi realism, with lots of functional-looking greebles and a very aggressive, utilitarian look. The drone in front makes great use of minifigure parts, such as using legs as a major part of the arms. Devid says that there are more robots coming in this series, and I can't wait to see them.